"What a fantastic story: a soccer-themed mix of Hoop Dreams and The Sports Gene." "Every fan of international soccer must read The Away Game." "Masterfully weaves together the stories of boys from a renowned soccer academy in Doha in an illuminating narrative." "An excellent introduction to this shady world." "[The Away Game] is about soccer, sure. But it's even more about the corruption, greed, and power that fuels the game." 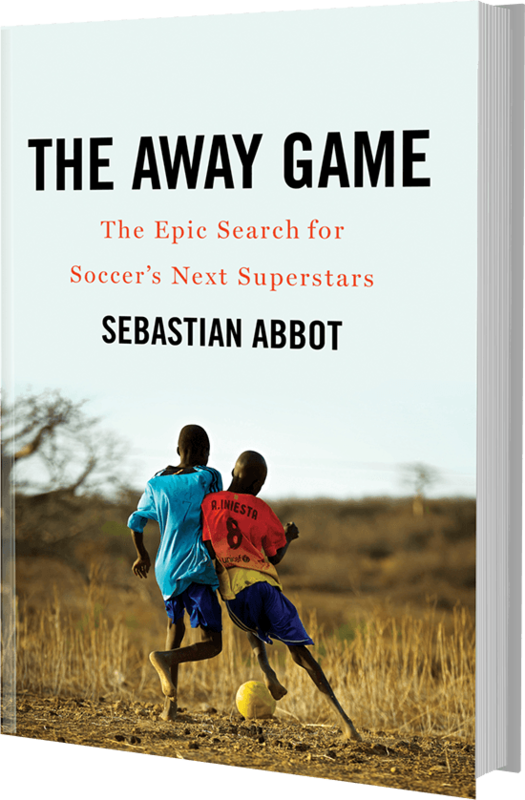 "Engrossing ... A masterful account of the drama and science of scouting [and] a lively evocation of football mania in Africa." Over the past decade, an audacious program called Football Dreams has held tryouts for millions of 13-year-old boys across Africa looking for soccer’s next superstars. Led by the Spanish scout who helped launch Lionel Messi’s career at Barcelona and funded by the desert kingdom of Qatar, the program has chosen a handful of boys each year to train to become professionals -- a process over a thousand times more selective than getting into Harvard.